When MGKF relocated its Bala Cynwyd headquarters office from the fifth to the ninth floor of 401 City Avenue, we used the US Green Building Council’s Leadership in Energy and Environmental Design (LEED) Green Building Rating System as a guide for sustainable design and construction. MGKF's commercial interior buildout project achieved the prestigious LEED Gold® certification under the LEED Green Building Rating System for Interior Design and Construction: Commercial Interiors (LEED® ID+C: Commercial Interiors). MGKF is the first law firm in the Philadelphia region to achieve Gold level certification under LEED for Commercial Interiors for its office space. For more details, see our case study and tour booklet. Manko, Gold, Katcher & Fox, LLP is the first law firm in the Philadelphia region to achieve Gold level certification under LEED® for Commercial Interiors for its Bala Cynwyd office space. 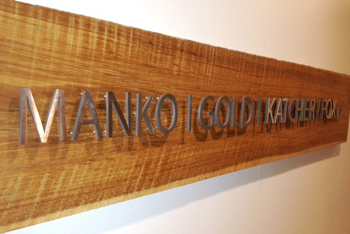 Manko, Gold, Katcher & Fox, LLP is headquartered in Bala Cynwyd, PA. Additional office locations (by appointment only) include Philadelphia, Pennsylvania, Cherry Hill, New Jersey and Honolulu, Hawaii.